November 6, 2018 – Rochester, Minn. — Karen Edmonds announced today that Project Legacy received an important grant from the Harper Family Foundation for the expansion of youth programming and the development of sustainable financial independence/infrastructure. "We are deeply grateful to the Harper Family Foundation for this grant which will be transformational for our youth. 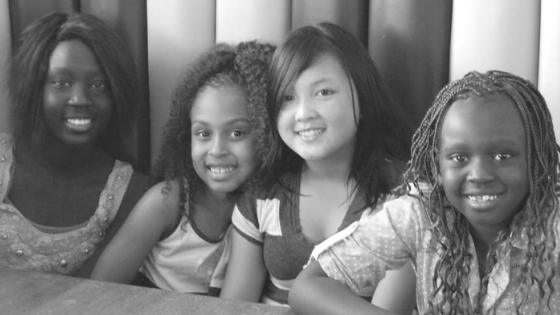 With this grant, we will be hiring a full-time social worker and expanding our youth programming. In addition, we will be working with Dr. Amit Sood who is training our youth to teach the Resiliency Program. A program will be implemented that will train the Project Legacy youth themselves to become resiliency coaches for other youth. This will provide youth unique opportunities to present at academic conferences and will directly lead to sustainability of the program by training the next generation and expanding services. Our young people work tirelessly to create a positive future for themselves, their children and our community – we thank the Harper Family Foundation for their investment in Project Legacy and our youth,” said Project Legacy Executive Director, Karen Edmonds. Project Legacy is a non-profit that provides hope, connections and support to youth and young adults of color who may have experienced poverty, trauma, and homelessness, or are refugees from war-torn countries and who have not had a positive support system, allowing them to transform their lives and become involved members of our community. The Harper Family Foundation was founded by Mike and Josie Harper and exists as a Nebraska non-profit organization to make innovative and transformative investments in human capital that have a direct impact on people, enabling them to be healthy and productive, and to make measurable and meaningful contributions to their families and communities.